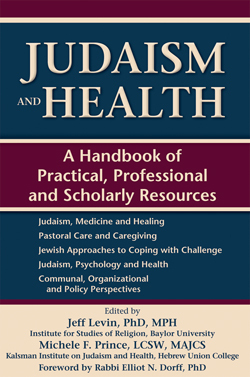 In the connections between Judaism and health, the Kalsman Institute of HUC-JIR is a catalyst for interaction, discussions and partnerships among spiritual leaders, healthcare providers, and Jewish community professionals and members. Kalsman provides pastoral education to future Reform leaders on the Los Angeles HUC-JIR campus. Conferences and workshops convened and co-sponsored by Kalsman generate ideas and projects on Jewish spirituality and healing, bioethics, illness and wellness, and the health of the healthcare system. Through an international network of nearly 2000 Kalsman Partners, the Institute makes positive contributions to Jewish thought and practice through training, collaboration and dialogue. 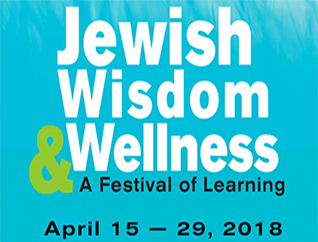 Jewish Wisdom & Wellness – A Festival of Learning integrates ancient wisdom with modern issues to offer new tools for growth and fulfillment. The Festival brings you together with health professionals, rabbis, and teachers from across the Jewish community to examine our traditions and their impact on your well-being. From April 15th –April 29th, we invite you to attend our festival of free events, lectures, workshops, and experiential classes. From wisdom on raising teenagers to from thriving in older age, to women’s health and movement as a healing art, we will help you build a toolbox of spiritual practices, physical activities and practical tools that can support your health and wellness within a foundation of Jewish wisdom and values. The Kalsman Institute coordinates coursework, sponsors Clinical Pastoral Education (CPE), and supervises field internships in hospitals and other healthcare settings. The Kalsman Institute gathered faculty from every major Jewish seminary – across every denomination – to share insights and explore the current state of pastoral education, as well as visions for the future. 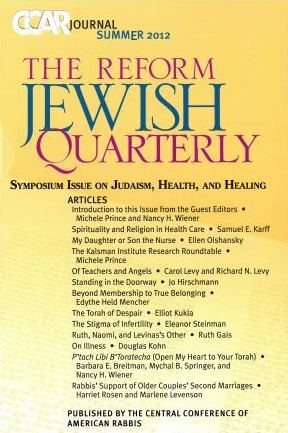 The Kalsman Institute co-sponsored the June Judaism, health, and healing volume of Sh'ma: Journal on Jewish Responsibility. The issue was dedicated to Debbie Friedman, z"l, honoring her passion for inspiring the power of music, prayer, and ritual in the face of hardship. The issue included contributors Rabbi David Ellenson, President of HUC, Michele Prince, Bill Cutter, Cantor Evan Kent, and several Kalsman partners. Click here to read about the Kalsman Institute's recent Roundtable on Judaism and Health Research and the article about it in the Jewish Journal. Click here to read the Kalsman Institute's most recent quarterly newsletter.